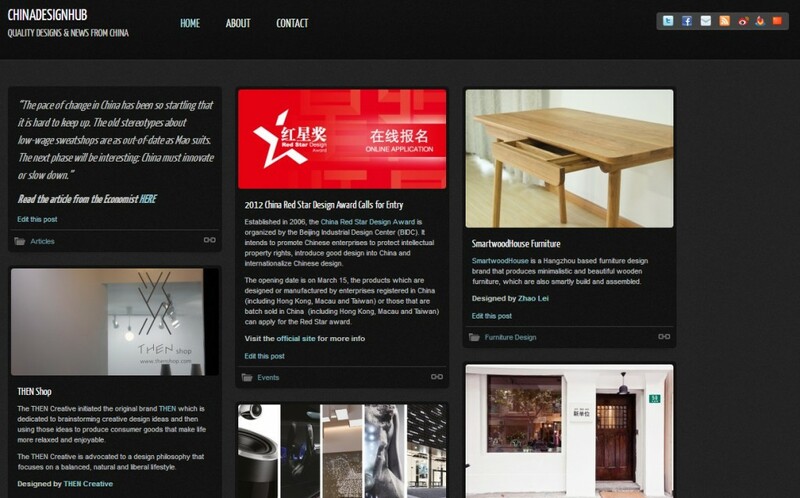 The main purpose of this site is to promote quality and original designs from China, by designers who work in China. That includes Chinese, Taiwanese, Hong Kong and other Chinese speaking Asian designers. Additionally we will publish designs made here in China by non-Chinese speaking designers, and designs by Chinese designers who work outside of China. I’d appreciate your support by spreading the news about it through your social networks. Or if you have a blog, feel free to post about it. We are also on Facebook, Twitter and Weibo.